In the same Friday New York Times in which “conservative firebrand” Dinesh D’Souza was dissected and a “conservative script” was honed to “light fire on abortion,” the social leftists pushing transgender issues were never identified as liberal or leftist. This time, the venue for gender delusion was a Quaker college in Oregon. Now what if someone took this same argument and made it about race? As in: I was "assigned whiteness" at birth, but I feel like I should be black based on my "lived experience" pretending to be what I am not? Jaycen is supposedly more male because she's into "the video game Call to Duty and listening to R&B and hip hop." Could it be discriminatory not to allow people who "identify as black" into black colleges or affirmative action programs, as the "identify as women" advocates push their way into women's colleges? There's not one sliver of space in this politically correct story for the idea that the "LGBTQ" agenda is completely at odds with Christianity and other major global religions, and that to force this sinful agenda on religious institutions is a breach of religious liberty, which seems to be one of the Obama administration's goals. What does Obama have to do with this? 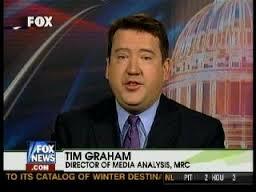 Nothing that we can see, beyond Graham inadvertently exposing the Media Research Center's agenda to be less about "media research" and more about partisan politics, which the MRC's nonprofit tax status theoretically forbids. A conservative legal group is asking a federal judge to punish the Environmental Protection Agency for destroying or failing to preserve emails and text messages requested in August 2012 under the Freedom of Information Act. The Landmark Legal Foundation believes the requested -- but never delivered -- messages to outside groups would have revealed EPA attempts to influence the 2012 presidential election. "The EPA is a toxic waste dump for lawlessness and disdain for the Constitution,” said Landmark Legal President Mark Levin. 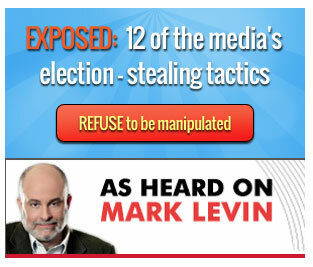 CNS neglects to mention that CNS' parent, the Media Research Center, has a business relationship with Levin, in which the MRC pays Levin on his radio show and uses Levin's endorsement on its own websites. Though CNS presents itself as a news operation presumably subject to journalistic codes of ethics, it regularly publishes stories about Levin while failing to disclose that he's a paid spokesman. While the re-election campaign of U.S. Sen. Joe Walsh, D-Mont., has been rocked by claims that he plagiarized 25 percent of his 2007 master’s thesis, another well-known Democrat senator is in the hot seat, facing plagiarism accusations from an author. As a radio host on the left-leaning network Air America, Sen. Al Franken, D-Minn., regularly emphasized the importance of telling the truth. 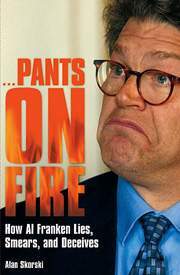 But Alan Skorski, author of “Pants on Fire: How Al Franken Lies, Smears and Deceives,” contends Franken plagiarized a chapter, “The Chapter on Fox,” lifting the words from a leftist group called Fairness and Accuracy In Reporting, or FAIR. Skorski lists at least 18 examples of what he claims is Franken quoting almost word for word from the group’s reports on Fox News and conservatives. There are two significant pieces of information missing from this unbylined article. First, WND published Skorski's book. Second, WND published it in 2005. That's right -- WND is reporting 9-year-old allegations as new. Heck, Skorski himself stopped promoting his book in 2006. And WND certainly won't tell you that Skorski's main attacks against Franken have been discredited. What we seem to have here is a desperate attempt to move some books moldering away in WND's seemingly vast warehouse. WND is currently selling the book for $19.96, which is about $19.95 more than you will pay for a nice used copy of it through Amazon. Further, WND's sudden concern about plagiarism is laughable given WND's own lengthy history of stealing the work of others. Before accusing Franken of "massive plagiarism," perhaps WND should clean up its own archives first. NewsBusters had little to say about BuzzFeed's Benny Johnson being fired for plagiarism, using it only as the introduction to a "weekend open thread" in a July 26 post. NewsBusters clipped a Huffington Post item noting that "Benny Johnson was previously with Glenn Beck's The Blaze, and has also written for Breitbart News," but it avoided further discussion of the unavoidable conclusion those ties mean: Johnson is a conservative. Outlets like the Blaze and Breitbart are ideologically driven -- much more so than the mainstream media outlets NewsBusters' minders at the Media Research Center love to fearmonger about -- so it's unlikely that Johnson could have gotten jobs there without demonstrating a commitment to right-wing ideology. That says a lot about right-wing media ethics, but you won't hear NewsBusters talk about that. NewsBusters also won't mention the fact that it previously promoted a Johnson post at BuzzFeed item later found to have contained plagiarized content. A February 2013 post by Randy Hall highlighted a Johnson item headlined “7 Things Democrats Would Have Freaked Out About if Bush Had Done Them”; that item now contains an editor's note that "This post has been corrected to remove phrasing that was copied from The Hill. BuzzFeed takes its responsibility to readers very seriously, and plagiarism is a major breach of that responsibility." NewsBusters has long covered for the mistakes of conservative writers. When conservative Washington Post blogger Ben Domenech was forced to resign after evidence of plagiarism surfaced, the MRC did what it could to change the subject. 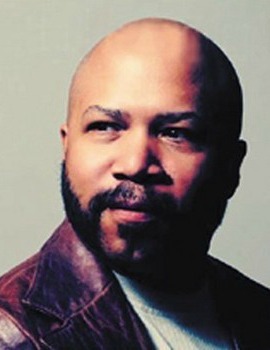 Tim Graham asserted that "What the Domenech fiasco should show is that left-wingers like those Media Mutterers are quite furious in attempting to keep the liberal media as liberal as they can muster," and Greg Sheffield claimed that the Post "cave[d] in to left-wing pressure" to fire Domenech while not mentioning his plagiarism. What to make of Gina Loudon? We've already noted her apparent mental health issues as manifested in the dishonesty and Obama derangement that appears in her WorldNetDaily column. Now she has devoted her July 27 WND column to her 18-year-old daughter's relationship with a 57-year-old man. This is a very personal family matter. With all the darkness, violence, conflict and trauma in the world today, it’s stunning that the news media would focus in on a personal family matter and exploit sensationally for a little titillation. But it is what it is. This is an emotional topic for me – not one I was prepared to deal with publicly. But here are my thoughts and feelings as I balance the privacy of my family, my concern and love I have for my daughter and the curiosity of the public over the latest “entertainment” story. I would ask for the prayers of your readers that God takes charge of this situation for the best interests of all concerned. Loudon can't possibly be that naive. The man her daughter happens to be having a relationship with (described in the headline as a "well-known actor" though we had never heard of him until now) is Steven Bauer, currently starring in a critically acclaimed TV show, "Ray Donovan," and he was once married to and has a son with actress Melanie Griffith. The two made their relationship public by attending a movie premiere together. Does Loudon really think that the entertainment media would ignore such catnip? 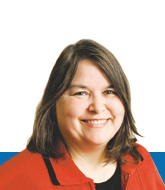 Loudon's column is about her trepidation about, and ultimate acceptance of, her daughter's relationship. But it's about something else too -- damage control and an attempt to control the narrative. It's as if Loudon has decided that if anyone was going to "exploit sensationally" her daughter's relationship, it would be her. 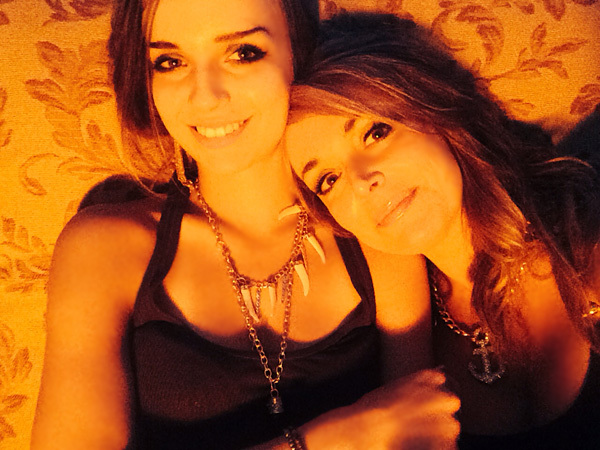 How else to explain the somewhat sultry-looking mother-daughter picture that begins Loudon's column (shown above)? That's an odd image to use in a column in which you're trying to convince readers that your daughter "has remained (and remains) pure until marriage" despite dating a 57-year-old actor. Loudon's attempt to capitalize on her daughter's relationship may be more disturbing than the relationship itself. Barbara Hollingsworth has yet another fit of lazy journalism in which she decides to serve as stenographer for a right-wing activist group in a July 22 CNSNews.com article. This time, she uncritically repeats attacks from the Institute for Energy Research that a new report warning of the dangers of climate change "is just another attempt by economic and political elites to impose a carbon tax on Americans." Hollingsworth not only fails to obtain response to IER's criticism, it fails to disclose that IER has strong ties to the energy industry, including donations from ExxonMobil and Koch-affilated interests. Such ties and funding would seem to counter Hollingsworth's implication that IER's criticism is objective and not agenda-driven, but she doesn't want you to know about it. A heckler blasted Barack Obama during the president’s speech in Los Angeles this week, calling him the “anti-Christ” and warning him that he would be “destroyed,” before being ushered out by a police officer. Amid a mixture of cheers and boos from the crowd, with several people shaking their heads, the man continued shouting as an officer came and took his arm and led him away. Curiously, WND fails to take the opportunity to let its readers know that it was an early rider on the Antichrist bandwagon. 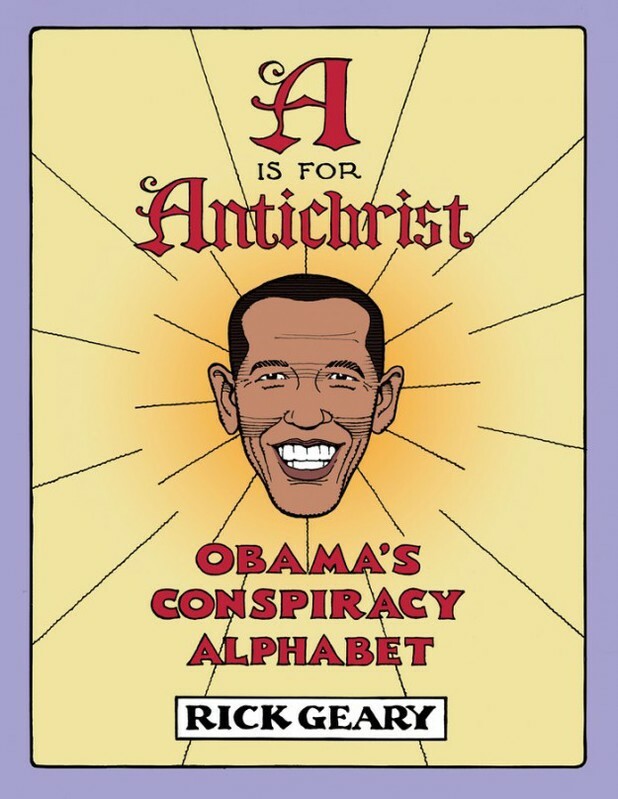 As we've documented, WND has been pushing this idea since even before Obama was elected, later promoting a anonymous YouTube video (since revealed to be the work of Carl Gallups, under his nom de smear PPSimmons) erroneously quoting Scripture to claim that the Bible has identified Obama as the Antichrist. This is a rare example of the WND self-promotion machine failing. Immediately after MH17 was downed, what one reporter called “a torrent of deafening propaganda” burst forth from the Ukrainian government, the Obama administration and its surrogates; this, before any evidence whatsoever emerged definitively implicating anyone. News consumers were treated to reports of everything from Russian separatists allegedly gloating on social media that they’d shot the plane down, to Vladimir Putin having ordered the strike just for kicks. All in all, it seemed quite the over-reaction to something that might have simply been a tragic byproduct of war. Ukrainian President Petro Poroshenko compared the tragedy to the Sept. 11, 2001, terrorist attack on the United States. Then, on Monday, President Obama accused Russian separatists controlling the crash site of tampering with evidence and intimidating international investigators by firing their weapons into the air. He said that this “begs the question, ‘what exactly are they trying to hide?’” Considering the Alinskyite penchant for projection so often employed by this White House, for me the question immediately became one of what Washington and Kiev might be trying to hide. While most intelligent people found it easy to surmise that the pro-Moscow forces might have inadvertently shot down the Boeing 777, thinking it a military aircraft, the aggregate of objective reporting that has emerged, juxtaposed against the West’s strident accusations, suggests alternative possibilities. Given the geopolitical climate and the duplicity of the Obama administration, we may never know the whole truth, but the fact is that Washington and Kiev would have had quite a bit to gain politically in the intentional downing of this jet and the implication of pro-Russian militias. With the world chafing at the cruel and criminal acts of Russia’s proxies in Ukraine, it would be far easier for the West to justify an escalation of the diplomatic and economic offensive against Russia. It would also not be the first time Ukrainian forces had employed “false flag” attacks to secure their political objectives, as they did during the street-fighting phase of their civil war and in the intimidation of Ukrainian Jews. Oh, yes – I realize that this will be viewed by many as another anti-Obama far-right conspiracy theory, but I believe that it is at least as viable a proposition as the administration’s narrative. In support of this, there has been far more empirical evidence potentially exonerating the Russian separatists – or at least supporting the “inadvertent downing” theory – than there is for a case of malicious disregard on their part, or of Russian aggression. The New York Post reported on Tuesday that “[T]he United States hasn’t found proof of direct Russian government involvement in shooting down Malaysia Airlines Flight 17,” while Washington intelligence officials and “sources” continue to blame Moscow for supplying weapons to the pro-Moscow forces, thereby creating the conditions that led to the deadly attack. I’m sure that the irony of the innumerable instances in which the Obama administration created conditions that led to far more chaos and death is not wasted on the reader; but I digress. If this desperate attempt to take the heat off Russia in the MH17 downing sounds familiar, that's because it is. The state-controlled Russian media has been pushing various conspiracy theories aiming to impicate anyone by the Russians in the shootdown. We hope Rush is getting paid well by the Putin regime -- better than he gets paid by WND, anyway. In a July 18 NewsBusters post, Graham fretted that a “trans woman” who "worked for the John Kerry for President campaign in Florida in 2004" was running a a Republican to become Nevada's "first gender-confused state legislator." The same day, Graham huffed that "National Public Radio’s Diane Rehm Show devoted a unanimous hour on Monday to the transgender 'struggle for civil rights.'" He further huffed: "See how the media agenda and the transgender agenda are exaclty the same: build maximum 'visibility' toward a 'tipping point,' and exclude any and all opponents unless they neatly fit a convenient narrative of hate and bullying." And that's different from how right-wingers create Obama "scandals" ... how? But Graham wasn't done venting about the existence of transgenders. On July 23, he targeted NPR once again, grousing that "NPR’s nationally distributed Fresh Air talk show devoted 43 minutes to 'the growing number of people who identify as transgender.'" He added, "Naturally, religion and the idea of nature and natural law only came up as something triumphantly overcome." Graham is grandiously insistent on expressing his revulsion for transgenders every opportunity he can. That is his employer's agenda, after all. 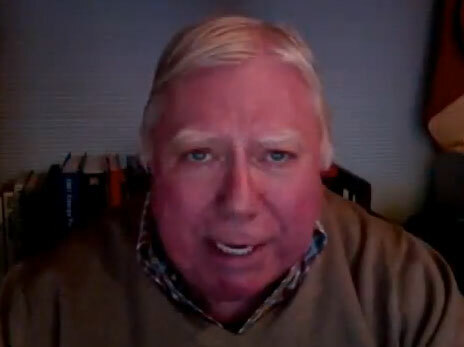 It's pretty simple, really -- discredited filmmaker Joel Gilbert puts WorldNetDaily's Jerome Corsi in his new film, Corsi promotes the film at WND and hides the truth about Gilbert. Corsi holds up his end of the logrolling once again in a July 21 WND article, in which he touts "strong box office results at its premiere," adding how "Each showing had long lines and sellout, or near sellout, crowds that responded enthusiastically with sustained applause at the conclusion," and interviews with "various moviegoers" who invariably loved the film, as well as with Gilbert basking in said glowing reviews. Corsi didn't mention until the 32nd paragraph of his article that he appears in the movie he's writing about. 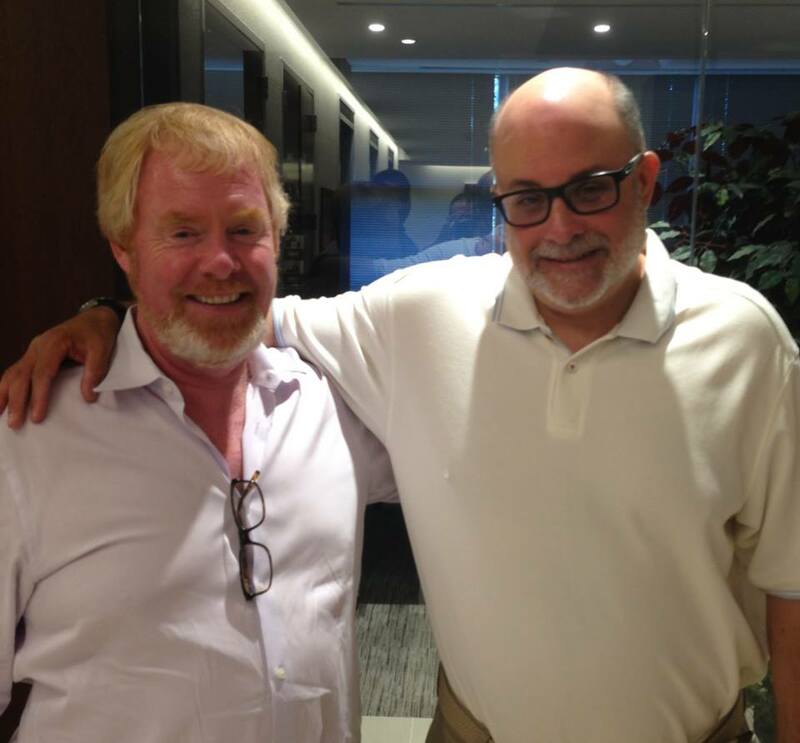 The Media Research Center has long promoted the musings of right-wing radio host Mark Levin without disclosing that it pays Levin to promote the MRC on his radio show. Now, the MRC is going into full protection mode for Levin. An anonymous July 23 NewsBusters post (attributed only to "NB Staff" -- why the secrecy, guys?) touts how, in a Fox News appearance, "talk-radio star and author Mark Levin attacked Jon Stewart for trashing Israel -- and then mocking critics by insisting he should be allowed to have nuance. The weird part of this post is that that it's essentially stenography: it simply transcribes Levin, who did not identify any specific statement that Stewart made supposedly "trashing Israel," and the posts adds no detail to substantiate Levin's attack. This was joined by a July 23 CNSNews.com article by Michael Chapman also transcribing Levin and also not providing any specific examples of Stewart's supposedly offensive remarks; Chapman vaguely states only that Stewart has made "acerbic jokes and comments concerning Hamas's ongoing missile attacks against Israel" and "has joked about the situation in Israel and Gaza." Not only do these MRC promotions for Levin fail to disclose the MRC's business relationship with Levin -- which makes its promotion of him look for all the world like a quid pro quo -- they had an offensive attack by Levin on Stewart. In a rant against Stewart last week on his radio show, Levin bizarrely declares, "I don't trust Jews who change their names." You know who else obsesses over Jewish entertainers who changed their names (and there have been a lot of them over the years, which means Levin also doesn't trust much of the mainstream of entertainment for, oh, the past century)? The neo-Nazis at Stormfront. The MRC might want to take a break from its mutual back-scratching with Levin to explain to its readers why Levin and Stormfront share a hobby. UPDATE: A July 25 CNS article by Susan Jones documents a lawsuit filed against the Environmental Protection Agency by Levin's legal foundation, which also fails to disclose the MRC's business relationship with Levin. A July 22 WorldNetDaily article by Aaron Klein declares that "Officials in Jerusalem are quietly wondering whether the Federal Aviation Administration’s prohibition on U.S. flights to Tel Aviv is partially a tactic to pressure Israel into a cease-fire." 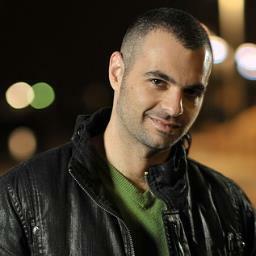 His source: "several Jerusalem diplomats who spoke on condition of anonymity." That, of course, is meaningless since Klein has given his readers no reason for anyone to trust the anonymous sources Klein loves to hide behind. Incidentially, Klein doesn't reveal his anonymous sources until the 15th paragraph of his article; before that point, he quotes actual, named, "aviation experts" who point out that "the FAA and airliners are likely taking necessary precautions after a Malaysia Airlines jet was shot down by a missile over Ukraine while at cruising altitude, killing all 298 people on board." In other words, by admitting the FAA is acting prudently, Klein undermines the entire premise of his article as an attack on the Obama administration. Oops. CNS Claims Global Warming Has Ended Because Of Cool Weather In U.S.
Can you spot the major science failure in the headline of Penny Starr's July 21 CNSNews.com article, "Global Warming? U.S. Temps Up 0.1 Degrees above 20th Century Average, 2014 Coolest Since 1993"? That's right -- suggesting that global warming has been disproved because of a few cool months in the U.S. is utterly dishonest. The National Oceanic and Atmospheric Administration’s (NOAA) 2014 weather highlights show that from January to June, the temperature in the U.S. has risen by only 0.1 degrees Fahrenheit compared with the average temperature for the 20th century. NOAA highlights also show that recorded temperatures in the U.S. for the first half of 2014 are the coldest since 1993. Starr doesn't tell you, however, that globally, last month was the hottest June in 134 years of record-keeping. That would seem to be an important fact to note in an article about climate -- especially since it's in the same NOAA data from which she pulls her U.S. weather data -- but Starr doesn't think so. What Starr has done is written an article that is technically accurate but so absurdly narrow in focus as to be useless for anything other than political propaganda. Just the way CNS likes it, we presume.